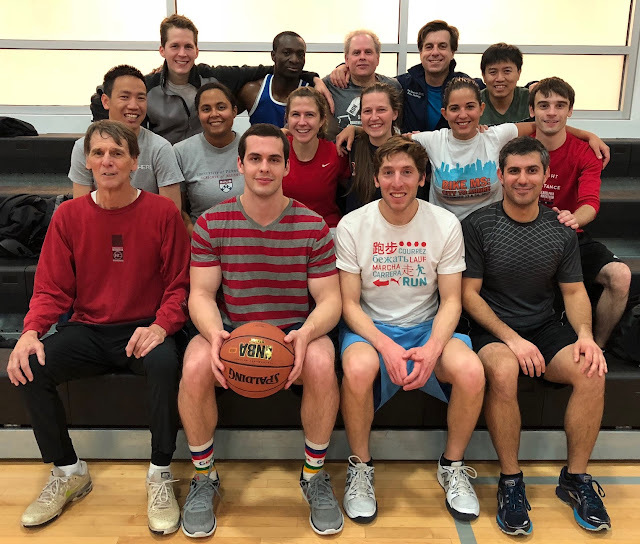 The annual Penn Neurology basketball game featured stand-out squads for the Attending and Resident teams. As is tradition, several Penn Neurology Alums (and current Fellows) joined the Resident team. Not pictured, big man Eric Williamson and Dr. Markowitz's sons. Final score: Attendings 40, Residents 32.